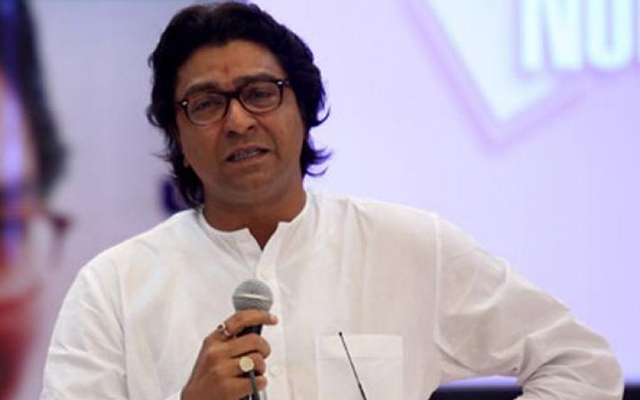 MNS Chief Raj Thackeray accused Central Government of planning riots using the Ram Temple issue in Ayodhya with the help of Asaduddion Owaisi-led AIMIM. At the MNS Rally, Mr.Thackeray said: 'I received a call from Delhi informing that Centre planned riots on Ram Temple issue and it sought the help of AIMIM for it. Union Government hasn't done any substantial work in the past four-and-a-half years to show while seeking votes during Lok Sabha Polls. The only option left is to instigate communal riots'. Raj Thackeray demands the construction of the Ram Temple in Ayodhya. He, however, isn't insisting that it should happen only before Lok Sabha Polls. 'I have no issue even if its built after the elections,' clarifies the MNS Supremo who refrained from disclosing the details of the caller. MIM MLA from Mumbai Waris Pathan asked Cops to investigate the matter taking Raj Thackeray into custody. He alleged Raj Thackeray has been trying to bounce back by slinging mud on Owaisi.